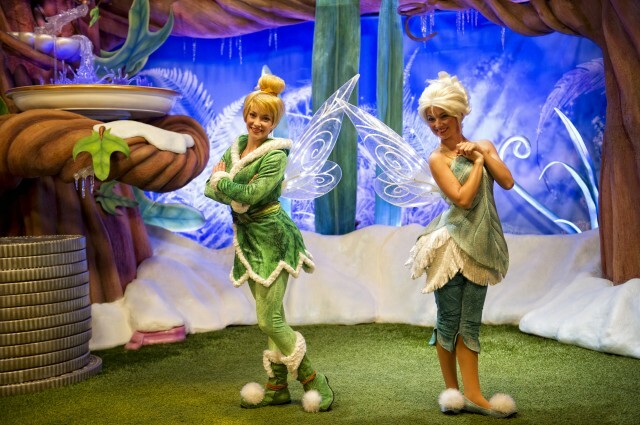 Tinker Bell's Sister, Periwinkle, Debuts At Walt Disney World Resort -- Tinker Bell's newly discovered sister, Periwinkle (right), is the newest fairy friend to meet guests at the Magic Kingdom park at Walt Disney World Resort in Lake Buena Vista, Fla. 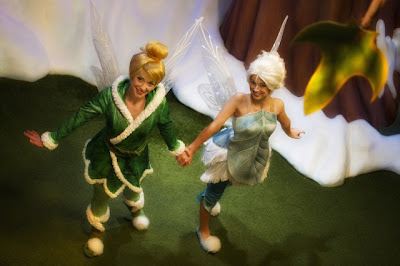 Introduced in the upcoming film "Secret of the Wings," the "frost fairy" Periwinkle is intrigued by the other seasons once she meets a warm fairy (her sis Tinker Bell), and she becomes eager to make new friends beyond the Winter Woods. 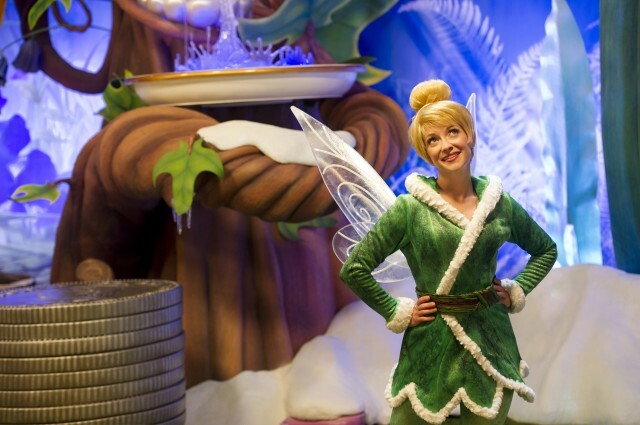 Scheduled for limited-time appearances during the fall and winter months, Periwinkle will join Tinker Bell inside Tinker Bell's Magical Nook at Magic Kingdom Park. Tinker Bell also debuted new winter wear for her appearances with the frost fairy. The newest Disney Fairies movie, "Secret of the Wings," comes to Blu-ray and DVD October 23.